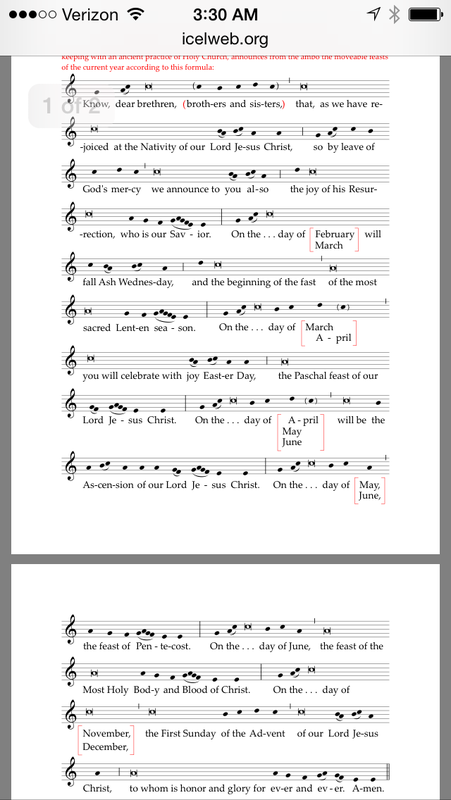 Perhaps you had a deacon or priest chant the epiphany proclamation after the gospel reading at your parish this weekend. I hope so. It is a beautiful tradition. Before internet and plentiful calendars, folks went to Mass on Epiphany in a state of excitement to learn when Easter would be that year. And they remembered. so by leave of God’s mercy we announce to you also the joy of his Resurrection, who is our Savior. On the Twenty-Seventh day of March you will celebrate with Joy Easter Day, the Paschal feast of our Lord Jesus Christ. On the Fifth day of May will be the Ascension of our Lord Jesus Christ. On the Fifteenth day of May the feast of Pentecost. the feast of the Most Holy Body and Blood of Christ. the First Sunday of Advent of our Lord Jesus Christ, to whom is honor and glory for ever and ever.